Hearst ceanothus has a very limited range, being found only in the coastal hills surrounding Arroyo de la Cruz in northern San Luis Obispo County, California. 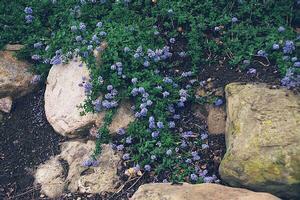 Hearst ceanothus needs little to no maintenance. If necessary, you can limit the plant's spread by pruning back the stems.